Marijuana alternative is legal—for now. You have to wonder what the police are smoking. This past winter and spring, while the Unified Police Department spewed PR to convince Salt Lake County residents its new service fee was necessary and judicious, some UPD officers were gearing up to enforce a vague law regarding a legal drug called spice. Only after conducting several staff trainings and threatening local sellers did police learn the district attorney—whom they did not consult—currently refuses to prosecute spice cases. In May, UPD hand-delivered letters containing threats of investigation to nearly 10 head shops that sell spice products. For now, those threats appear to be totally hollow, since Salt Lake District Attorney Lohra Miller says she will not file charges for sale, distribution nor possession of spice until the Legislature passes an explicit ban. Rep. Tim Cosgrove, D-Murray, plans to sponsor legislation to prohibit spice. Spice is a generic name for dozens of brand-name leafy products infused with chemicals similar to THC—a psychoactive cannibinoid in marijuana—that has a similar effect when smoked. The products are labeled as incense and usually say “not for human consumption,” but many consumers—and police—know better than that. Although purchasing the product is legal, police have kept busy investigating spice. In a records request, City Weekly discovered that the State Crime Lab just this year has analyzed more than 50 samples of spice—some of it found in probationers' pipes also containing marijuana residue—on behalf of law enforcement agencies. The analysis is “quite expensive and quite difficult,” Cosgrove says. UPD also hosted seven trainings regarding spice for its officers during June. Spice products contain a variety of psychoactive chemicals, but JWH-018 is the chemical discovered in “almost all” samples analyzed by the State Crime Lab, according to documents. How can police make threats against shopkeepers if spice is legal? It’s called the “psychotoxic chemical" statute and, in theory, it outlaws sale or consumption of any chemical—even nitrous oxide in a can of whipped cream, for example—if the purchaser intends to consume the substance to cause “intoxication, inebriation, excitement [or] stupefaction.” While other county attorneys may decide differently, Miller says the psychotoxic chemical statute does not provide adequate notice to defendants that spice is illegal. “The law has to be very clear,” she says. Miller says she became aware of the issue a couple weeks ago after a staff prosecutor filed a felony drug charge against a spice producer. Miller says that prompted “a lot of internal discussion” earlier this month, which eventually lead to Miller’s decision that the case should be dismissed and no future spice cases should be filed unless or until the Legislature clarifies the law. The scare tactic worked, somewhat. Two Salt Lake City spice sellers who City Weekly contacted said they stopped selling it, due to legal concerns. 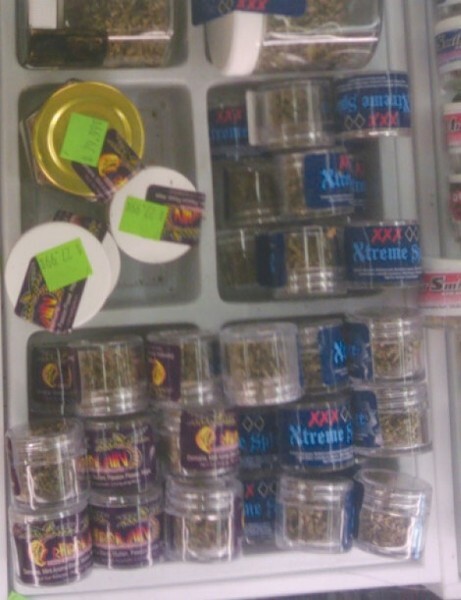 A third shop, however, said sales of spice have skyrocketed since other shops stopped selling it and TV news stations KSL-5 and ABC 4 first alerted many customers to the fact that a legal product similar to marijuana even existed. For now, that shop—which asked not to be named for fear of future police retaliation—has no cause for alarm. VanWagoner says “there’s no reason” to investigate sellers or users of spice. The letter bearing his name that threatened investigations, he said, was written and delivered to head shops before he learned of Miller’s opinion two weeks ago. “I will acquiesce to the DA’s decision,” he says. VanWagoner admits that very little scientific research has been done regarding spice. He’s aware of only one German study that documents one individual case of suspected addiction to spice, and that other research into spice toxicity is lacking. “We can’t claim this is harmful to human physiology because we don’t know,” he says. But that doesn’t matter much because the problem with spice, as VanWagoner sees it, is simply that people are getting high. “Something that alters your time-space and reactionary abilities, anything that would stupefy the senses, make one intoxicated and [impedes] your ability to operate a motor vehicle would be of a concern,” VanWagoner says. Alcohol, which is sold in Utah exclusively by the state government--net profit of $59 million in 2009--(pdf)--is not prohibited under the psychotoxic chemical law, although that chemical has been involved in 436 impaired-driving deaths (pdf) in Utah since 1999. Utah State Medical Examiner Todd Grey said he’s unaware of a single case in which spice was linked to a death. Cosgrove, the Murray Democrat who has agreed to sponsor legislation to ban spice, said he believes prohibition “makes society safer,” though he could not provide an example of when a drug prohibition actually reduced the usage of a banned substance. “I guess it’s nothing more than a belief,” he says.